Home / DaraFolk Fashion • DaraFolk News / Beige palette of the ethnic pattern. 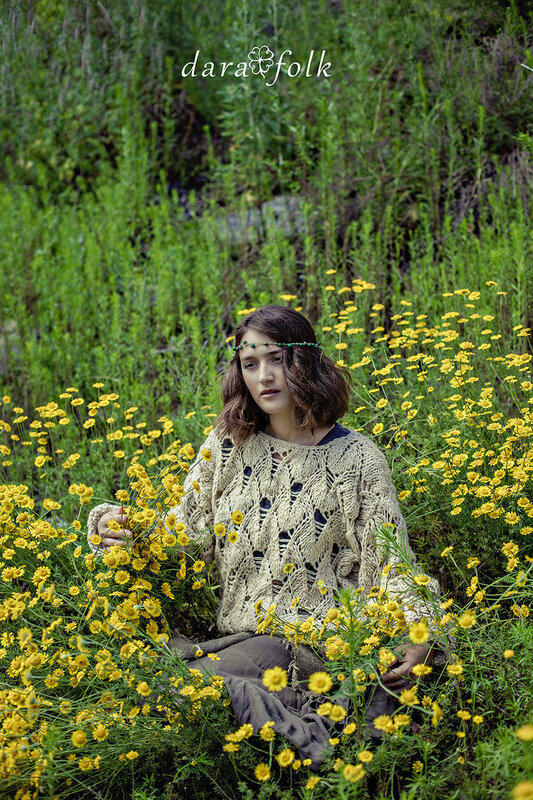 There is a cosy pullover of relief decoration from DaraFolk’s collection ‘Green hills’. 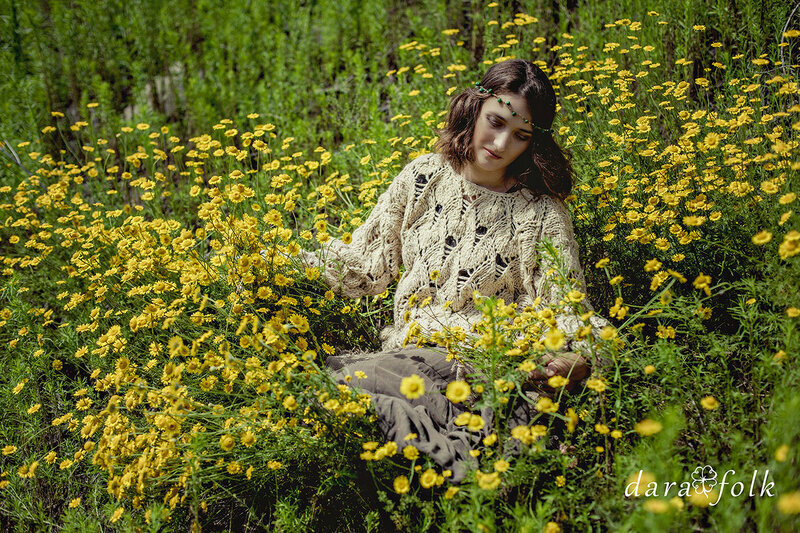 Photographer: Anastasia Dolgova. Model: Elena Kirillova. Designer: Daria Evtushenko. Being of irish village style, this openwork pullover has drawn my attention by its ethnic airy patten. Another part of the pullover’s success is a classic colour and qualitative fleece of handmade felting. I was fortunate to buy it while travelling in the Altai Mountains. I desperately wished to make the thing exceptional in every possible way: from indented lower edge without lacing to three-dimensional knitting. One more emphasis is extra-long sleeves. It makes it even more cosy. The comfort is everything! 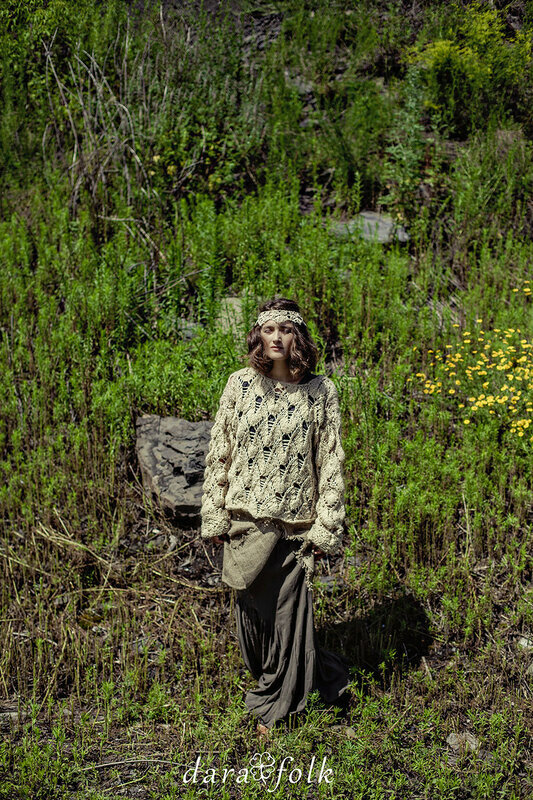 In the ethnic design of the pullover I aimed at emphasizing feminine lines of the «cut» - pretty and practical!